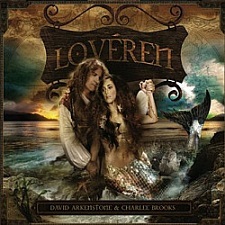 New Vocal Instrumental Album in 2013: Pre-release album review for Loveren by David Arkenstone & Charlee Brooks. It never ceases to amaze me how some artists find within themselves to consistently produce quality music year after year. This is true with multi-platinum selling concert and recording artist David Arkenstone, who is a source of admiration for millions of fans and colleagues alike. Retaining a long standing reputation as an award-winning, top instrumental music producer David Arkenstone covers a broad array of styles including ambient, adult contemporary, Celtic, electronic, world, and new age, having made the Top 10 Billboard New Age charts twenty times. 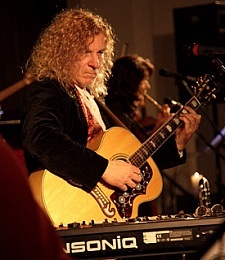 David Arkenstone’s original compositions similarly reach a diverse range of audiences including venues like the NBC Olympics, Triple Crown and Breeder’s Cup sportscasts, plus popular video game World of Warcraft. 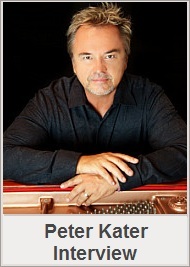 A progressive new sound is precisely what you can expect hear on a brand new vocal and orchestral album, due to be released on March 5, 2013. Loveren is a brilliant illustration of how the three times GRAMMY® Nominated David Arkenstone has advanced musically over the past twenty-five years. You will also soon find Loveren is an epic orchestral score by the adventurous master storyteller with an impressive vocalist and lyricist by his side named Charlee Brooks. Rarely do I compare one artist to the next but in this case I believe many people will soon be in agreement when I say Charlee Brooks is an amazing vocalist whose singing ability may be likened to superstar vocalists Enya and Sarah Brightman. In addition to primary artist who include John Wakefield on percussion and Eric Rigler on woodwinds, a full strings section and choir vocals by The Nashville Soul Choir deeply embolden Loveren like no other previous score. Traversing new age and world music rhythms with crossover pop vocals sung by Charlee Brooks, and magnificent orchestrations are the leading attraction on the newest album fans will surely be calling the best David Arkenstone album ever! The 9 songs on Loveren are: Origins, The Forbidden Sea, Lumaria, Sessa Nulma, Jamboree, Song Of Loveren, Lost, Slip Away & Love Always Waits. Included is an attractive 16 page CD booklet containing lyrical verses by Charlee Brooks and a short novel of the love story Loveren written by author Steven Vlasak. A live production of the story directed by award-winning producer Victoria Paige Meyerink is set for March 16, 2013 at the landmark Alwx Theatre in Glendale, California. Visit DavidArkenstone.com and CharleeBrooks.com. 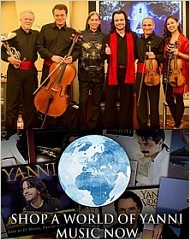 Prior to March 5, 2013 pre-order audio CD Loveren at Amazon.com. Photo and cover art courtesy davidarkenstone.com & charleebrooks.com. 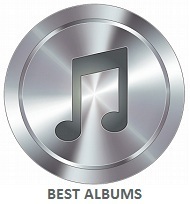 GRAMMY® nominated composer David Arkenstone is a celebrated new age artist who has produced an extensive collection of great instrumental albums over the course of his distinguished career. David Arkenstone’s popularity as a favorite artist for many persons including myself is clear when you consider he has sold well over a million albums throughout his extensive career as a popular favorite. The admiration for David Arkenstone and his reputation as a top new age artist is apparent by other benchmarks too, having reached the Top 10 Billboard New Age charts twenty times. He is a gifted musician accustomed to playing a variety of instruments, some of which include electronic keyboards, piano, cello, flute, harp, mandolin and a number of ethnic guitars. 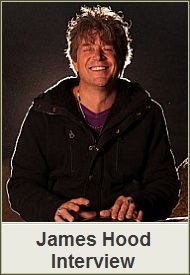 David is also a talented percussionist, sings vocals on some of his albums, and regularly performs live music during tours as a performing new age concert artist. David Arkenstone is a three times GRAMMY® nominated musician, having earned nominations for his three albums In the Wake of the Wind, Citizen of the World, & Atlantis. 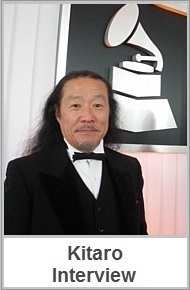 In addition he has composed numerous recordings for film and television, some of which are shown on the History Channel, Discovery Channel, NBC Sports and many other televised programs. Echoes of Creation is a new soundtrack he composed for Jan Nickman’s nature inspired film that was aired on PBS stations nationwide. 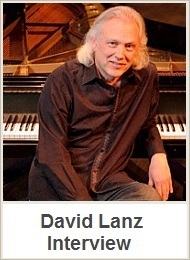 David has also composed a number of top rated computer gaming scores like World of Warcraft, Blade Runner, Lands of Lore, Earth and Beyond & Emperor. David Arkenstone and his popular album collection are a broad array of ambient, Celtic, contemporary instrumental, world, electronic, and new age fusion. 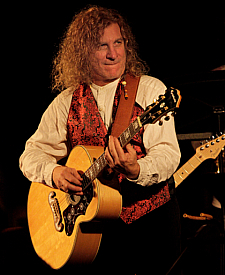 Diversity is a unique characteristic of David Arkenstone’s ingenious skills as a songwriter and his extensive music collection. 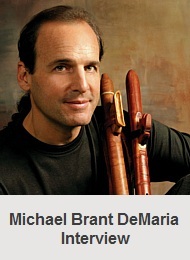 He also performs live concerts with Seth Osburn and John Wakefield in his world music inspired band Mandala. 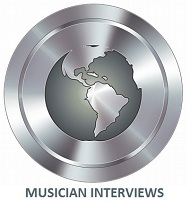 New Age Music World host John P. Olsen recently had the opportunity to provide a December 2011 interview for internationally famous David Arkenstone. Today we are pleased to present their up-to-date interview conversation to David’s fans and to our site visitors weeks prior to the new year 2012. John Olsen: Thank you for giving everyone a moment of your time David. Like your many fans, I too have been an admirer of your music for many years, so our interview together is especially rewarding to me personally. 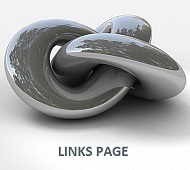 I noticed at your website you appear to have a close connection with your fans by easy access and information for them at your website news page, Twitter and Facebook social networking pages. Over the years, the internet and technology has influenced everyone to some extent, and new technology directly applies to the technique in which you produce music. John: Would you like to begin our interview by telling us about your life as a musician in the early years, preceding the time when technology changed the way you produce music? 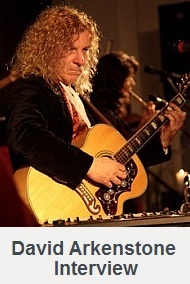 David Arkenstone: I had several different configurations of my rock band, Arkenstone. I played guitar and keyboards. I’ve always loved synths and used them in my music, as well as all kinds of different sounds. So I was doing that. Once synthesizers and computers started communicating, I threw myself into that world and never looked back. I was able to hear things I could only previously imagine. John: Since computer technology or electronic music has influenced the process in which you compose, what has proven to be the most beneficial aspect of your electronic enhanced orchestrations? David Arkenstone: That would be all the things I can hear at the same time. Like a fully orchestrated piece with percussion, strings, brass, woodwinds. Or if I’m doing a more non-orchestral piece, I can hear the guitars with the drums, keyboards, generally all the sounds I use. This is so beneficial to being able to shape the piece as I go. There is an endless amount of tweaking until I’m satisfied. This can sometimes take a long time! John: Many of your releases have bold majestic themes and popular music influences. When composing, do you intentionally set out to merge many influences into your music compositions, and how do you achieve a proper balance of electronic and instrumental orchestrations? David Arkenstone: I usually try to start with a concept that resonates with me, and then decide which aspects of that concept I would like to illustrate with music. After the pieces begin coming out, I figure out my ‘palette.’ From that I can find a balance of sounds and decide which elements can be computer generated and which should be live musicians. This period includes a lot of exciting exploration. John: Along with your Echoes of Creation Soundtrack & Ambient World releases, don’t you have a varied collection of Celtic songs? 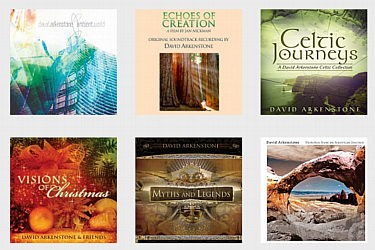 David Arkenstone: Celtic Journeys is a compilation of my Celtic inspired recordings on the Green Hill label. John: In your diverse music collection, Visions of Christmas is another relatively new release. With the holiday season drawing nearer every day, perhaps you could tell us about the songs on Visions of Christmas, and how your holiday album was produced? 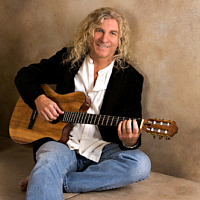 David Arkenstone: I love the holidays and have been doing holiday concerts for a long time. This album came about because I was playing a lot of arrangements in our Winter Solstice concerts that I’d never recorded. I really wanted to do another Christmas album and my producing partner, Victoria Paige Meyerink, suggested we combine the concert tunes with some of my favorites for Visions of Christmas. We’ve also filmed several of the concerts and we’re working on a DVD of the Winter Solstice Tour. John: Again, I am very familiar with your entire discography David. Likewise, I am confident the majority of people reading this interview are too. For those who may be less familiar with your variety of great releases, what 4 albums would you recommend to them as a starting point to begin sampling your discography? David Arkenstone: Visionary, Atlantis, Myths and Legends & Ambient World. John: Yes, I certainly agree your 2 disc collection of songs on Ambient World is an excellent choice. This is one of your new albums I would recommend to everyone too. 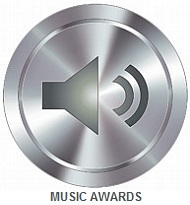 Earlier, Victoria Paige Meyerink informed me that Ambient World was listed in the 25 Essential Echoes CD’s for 2011. 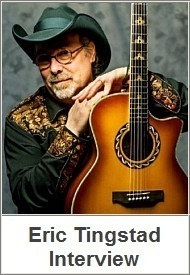 In your diverse music collection, I find many of your albums “boldly adventurous” if I can phrase it this way. Many releases including Eternal Champion & Quest Of The Dream Warrior are best described as having epic or majestic themes. 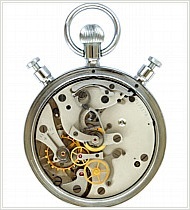 Do you begin a project with a predetermined theme or does a project’s theme define itself later on while you are composing? David Arkenstone: I usually start with a thread of an idea, though also it can materialize after I’ve composed several pieces. That can generate ideas for me, or a more specific direction. John: You have composed numerous music recordings for film and television like the History Channel, Discovery Channel, NBC Sports and others. 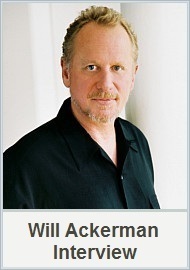 The Echoes of Creation soundtrack you produced with Emmy award winning director Jan Nickman is another example of your outstanding film scores. In addition your numerous computer gaming scores like World of Warcraft, Blade Runner, Lands of Lore, Earth and Beyond, & Emperor. What are some of the challenges and dissimilarities involved with soundtrack, film and gaming scores verses composing music for an album? 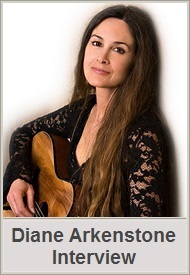 David Arkenstone: A music album is completely free. I think of the road I want to go on, what instruments I want to use, and all of the final outcome. With a project involving another person’s vision, I have to determine the palette, style, and mood that will best fit the project. Then I have to please my collaborators and make sure all the elements work together. John: Would you tell us about your world music group Mandala? David Arkenstone: I recently started this group with a couple of my friends, Seth Osburn & John Wakefield, to perform more world music inspired pieces that are more improvisational in nature. Some are very danceable, and some are very moody, but all of them have a spiritual aspect. 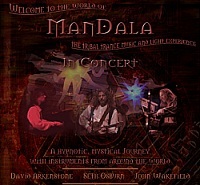 Mandala is evolving and we recently filmed a concert. We will be releasing footage once it’s fully edited. John: In addition to your numerous album releases, you have been a concert performer for many years, including the renaissance festivals earlier this year. Would you like to provide some details about the musicians who perform with you, and what one can expect when attending a David Arkenstone concert in terms of atmosphere, interaction, and songs you play? David Arkenstone: It’s fun to step back in time. Basically, it’s me and the band without synths and sometimes little amplification. We’ve been invited to several Renn fairs and enjoy being in costume and playing some of my Celtic inspired works. A lot of the World of Warcraft fans attend and I really love performing live to such enthusiastic crowds. It’s a relaxed atmosphere and I have the opportunity to meet with people who’ve been following my career – one person saved tickets from one of my first concerts, brought them to the fair and asked me to autograph them! People bring all sorts of memorabilia. 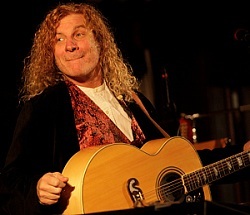 John: I heard the news you have plans for a new David Arkenstone album with a release date sometime in 2012. 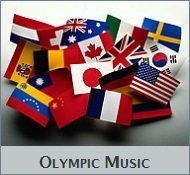 Do you have an album title for your new project, and can you tell us about the music you have in mind for your new release for 2012? David Arkenstone: Well, I’m not ready to say too much about it yet. 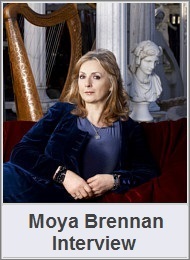 There are vocals, lots of drums and orchestra, as well as all the other instruments I play. I’m very excited about it. The album is collaboration with Charlee Brooks, a wonderful singer and writer, and it’s one of the most rewarding experiences of my career. We have written it almost as a soundtrack. John: You have a large international fan base, and you have enjoyed a successful music career practically your entire life. What do you find the most rewarding experience as a professional musician? David Arkenstone: That’s simple, the most rewarding aspect is that people enjoy my music and because of that, I get to do what I love every day. I’ve been lucky to make music that resonates with so many people, and their support and kind words make every day a musical joy. John: Your new website looks fantastic! It’s easy to navigate too. I know you have a new album project you are working on and a busy schedule so I want to thank you again for letting me host your most current interview David. 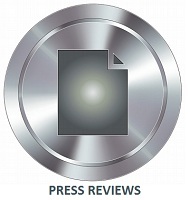 It has been a privilege to provide today’s news coverage about you! I will publish more articles about you in time but do you have any departing words before we close for now? 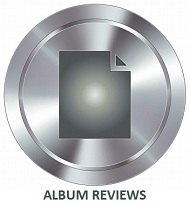 David Arkenstone: Just that I appreciate your support of music and your efforts to connect musicians with the listeners. 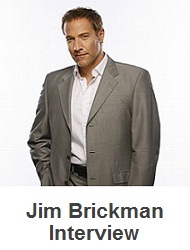 I hope everyone will enjoy my new 3-D website and follow me on Facebook and Twitter. Visit the new davidarkenstone.com website and purchase his music at David’s online store or find at David’s profile page at domomusicgroup.com. Discover more fine artists at domomusicgroup.com homepage and read my David Arkenstone page. 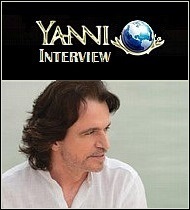 Interview photos are courtesy David Arkenstone. 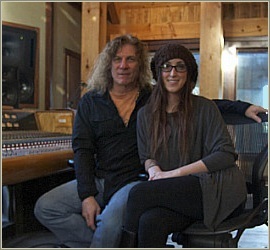 Grammy nominated composer David Arkenstone has teamed up with Emmy Award winning director Jan Nickman on a new project. Together they have created an amazing nature film in unison with David’s magnificent instrumental soundtrack CD. When the film and cinematic music score are experienced as a single collective, it’s easy to see their project together is more than admirable, it is an absolute masterpiece! The Echoes of Creation soundtrack by David Arkenstone is an excellent new release from the award winning, three times Grammy nominated composer who has produced a lengthy list of great instrumental albums over the course of his long career which spans decades. His popularity as a favorite artist of many persons including myself is apparent when you consider he has sold over one million albums throughout his career. In addition, recognition has arrived in other forms since he has been listed in the top 10 Billboard New Age charts twenty times. 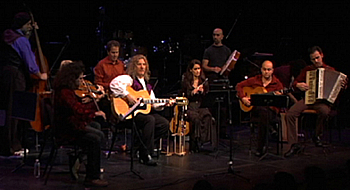 David Arkenstone and his popular music repertoire can range anywhere from Ambient, Celtic, Contemporary, World, and New Age Fusion, is a unique characteristic of his vast discography which practically guarantees there is a favorite album for just about everyone. 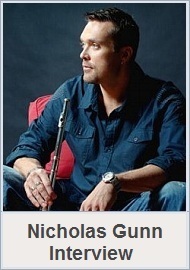 As an accomplished musician he is accustom to playing a wide variety of instruments, some of which include electronic keyboards, piano, cello, flute, harp, mandolin and a number of guitars. 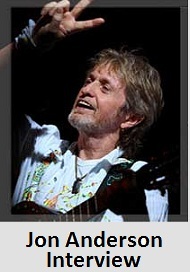 David is also a percussionist, sings vocals on some of his albums, and even tours as a concert performer. The Echoes of Creation film highlights a variety of inspiring landscape footage of the Pacific Northwest, California and Alaska which was filmed from an eagle’s eye point of view. Some of the photographic footage captures scenes of three thousand years old sequoias, to an aurora borealis, and many more natural landscapes and scenic settings. With the holiday season drawing nearer, what an excellent Christmas gift the CD/DVD would be! 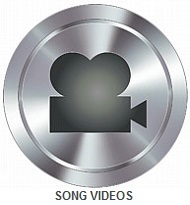 The soundtrack CD matched with the colorful nature film was photographed in high definition and aired nationwide on Public Broadcasting Stations (PBS) and contains poetic narration by Karen Hutton. There are a variety of formats, so if you prefer the CD soundtrack or film on DVD, there are several purchase options. David Arkenstone’s recent CDs entitled Celtic Journeys & Ambient World are both great albums too. 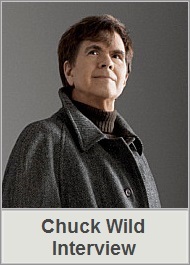 They go a long way in pointing out the remarkable diversity of his song writing aptitude by using album title comparison alone. When you consider David Arkenstone’s impressive capabilities as a multi-instrumentalist and experience as a popular artist, it’s clear David was the perfect choice for this nature inspired film. View the Echoes of Creation official trailer on my page for David Arkenstone. Visit the davidarkenstone.com homepage to sample or purchase the CD soundtrack. 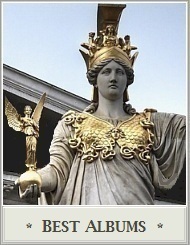 Visit echoesofcreationmovie.com to order Echoes of Creation on CD or DVD formats. Photos are courtesy davidarkenstone.com. David Arkenstone is the Grammy Nominated musician who recently composed the Echoes of Creation movie soundtrack for Emmy Award winning director Jan Nickman, and his inspiring nature film that bears the same name. The scenic backdrop for the landscape footage filmed in the U.S. is the Pacific Northwest, California, and Alaska. 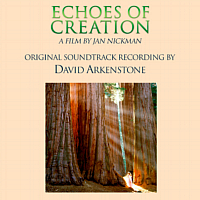 The Echoes of Creation DVD soundtrack by David Arkenstone is a beautiful instrumental score that seems to bring out the very best of what director Jan Nickman had in mind while producing this equally stunning film. 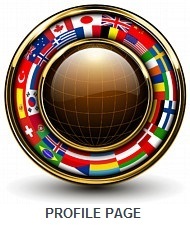 Together as a team they have produced an audio visual product that is beyond comparison! For the award winning musician David Arkenstone, the Echoes of Creation soundtrack comes to be his most recent CD release in his already extensive list of popular orchestral albums. The instrumental songs on David’s soundtrack are Deep Beauty, The Most Sacred Art, Tides of Eternity, Riding the Invisible, Journey of Forever, The Inevitable, Embrace Everything & Echoes of Creation title song. Below is the official Echoes of Creation video trailer. 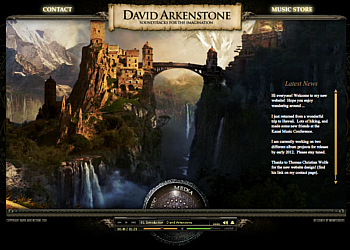 Visit the davidarkenstone.com homepage to sample or purchase the CD soundtrack. 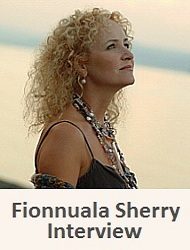 Visit echoesofcreationmovie.com to order Echoes of Creation on CD, DVD or BlueRay formats. Cover art is courtesy echoesofcreationmovie.com.